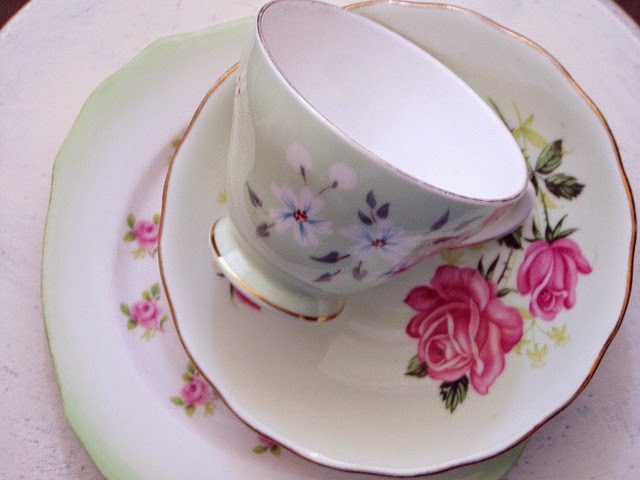 Do you have a collection of mixed matched teacups, too pretty to throw away yet not very useful? Made from off cuts of fabric, lace and ribbon, it is the perfect idea and inexpensive too. So quick and easy to make that even the kids could get in on the act and make one for Mum or Grandma. If you need a helping hand, a pdf pattern for a teacup pincushion, with clear colour step by step instruction can be found over on the Stitching Cow website. Click here to go there now. 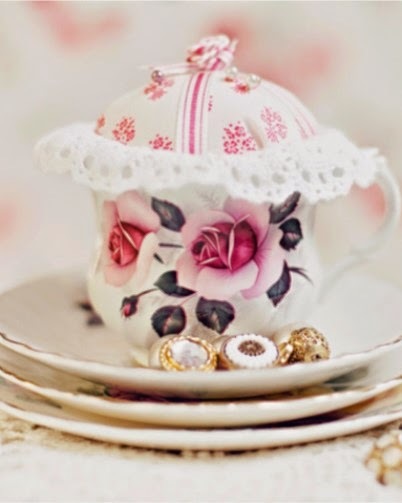 You could be making some of these delightful teacup pincushions today, how exciting! Hey this is a really nice post, I am really loving your patterns and an absolute fan of the color scheme in the second one. Good luck ! This is beautiful yet creative work. 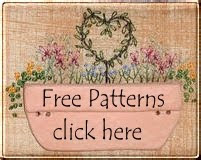 very beautiful patterns and designs you have used and you have used your time in a productive way. Just love it.